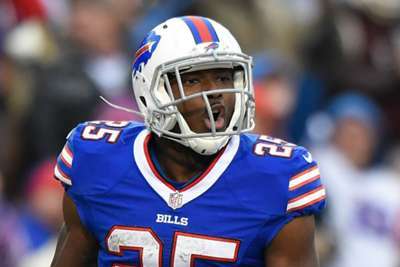 Buffalo Bills running back LeSean McCoy has vehemently denied accusations of domestic violence against him. An unidentified Instagram user shared a photo of a woman, whom the user claimed to be McCoy's on-and-off girlfriend Delicia Cordon, with cuts and bruises on her face on Tuesday, alleging McCoy struck her. The user also accused McCoy of child abuse and animal cruelty in a since-deleted post. Responding to the claims, McCoy wrote on Instagram: "For the record, the totally baseless and offensive claims made against me are completely false. "Furthermore, I have not had any direct contact with any of the people involved in months." "We have spoken to LeSean and been in contact with the National Football League," the Bills said in a statement. "We will continue to gather information."